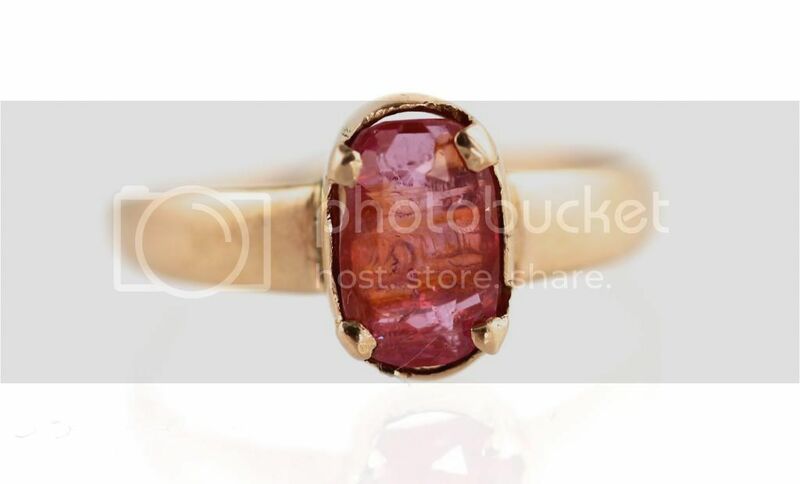 At a recent antique show, I found this rare Georgian Padparadscha sapphire rose gold ring. Look closely at the color bands. It also has two small inclusions...of ruby. Totally natural stone. Over one carat too! What a great find!